Gregory Lehane has directed plays in New York City, where he was a founding member of Primary Stages Company and directed five New York premiers with that company. His work as been seen in American Regional Theaters, in Canada and in Egypt where he was a Distinguished Lecturer in Drama at the American University in Cairo. He directed a trilogy of Greek Tragedies for the Moscow Art Theatre School. Lehane has directed television programs for all three networks, PBS, TBS, Lifetime, Nickelodeon, USA, The Disney Channel, in London, and in France for worldwide syndication. He has been nominated for an Emmy for Outstanding Direction twice. He holds the rank of Professor of Drama and Music at Carnegie Mellon University where he has taught for two decades. He was coordinator of the undergraduate and graduate directing programs in the School of Drama for twelve years, and Associate Head for five years. Recent Television: The Work of 50 Men and Love Chance for WQED-TV and sponsored by the Sloan Foundation; The Magic Woods, a children’s program pilot; Nathan the Wise, a live, multi-camera broadcast. Recent Theatre/Opera: American Buffalo for the Pittsburgh Playhouse Rep; The Consul, L’Incorronzione Di Poppea, and Street Scene for the CMU School of Music, and Mahagony and Candide for the combined Schools. 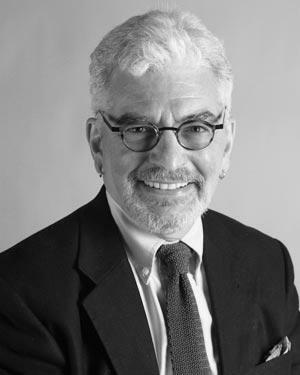 Professor Lehane has directed programs for the Pittsburgh Cultural Trust and the Pennsylvania Council on the Arts. He is the voice of Father Bach on a recently released Rounder Records CD that teaches concepts in poetry and music to pre-schoolers. He is a member of the Society of Stage Directors and Choreographers and the Directors Guild of America.